FRANCE: The country's wind energy association has urged the new environment and energy minister to provide visibility and stability for the industry in a time of "environmental emergency". 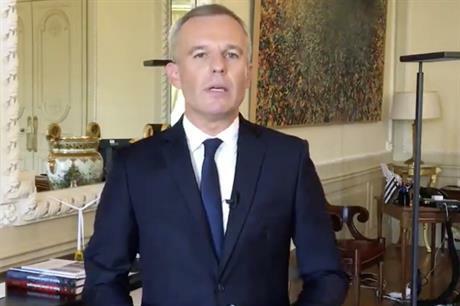 François de Rugy, chairman of the Ecologist Party, was appointed the new environment and energy minister, a week after his predecessor, Nicolas Hulot, quit the role in a live radio interview. De Rugy, the former president of the National Assembly, faces challenges to unblock at least 3GW of projects unable to secure permits, and up to 2GW of projects at risk of cancellation, according to the French wind energy association (FEE). He also needs to steer France’s multi-annual energy program (PPE) — due to be discussed in the coming months — through parliament, and into law. De Rugy said he expects to present the PPE at the end of October. The FEE also called for a 45% target for renewable energy by 2030 — an increase from the 40% target in France’s Energy Transition Law — with 23% to be supplied by wind power, to be formalised in the PPE. It stated that his appointment comes at a time of "environmental emergency" and called for onshore and offshore wind targets to be confirmed and tenders launched for offshore projects. Olivier Perot, president of the FEE, said: "The wind power sector needs visibility and stability to ensure France’s energy objectives and continue to grow. "Let’s also have ambitious goals in terms of economic activity, job creation and innovation," Perot added. Hulot quit the role on 28 August claiming president Emmanuel Macron was not doing enough on his climate and environmental goals. Macron had made election pledges to invest €15 billion in environmental measures, to double French wind and solar PV capacity and to renovate half of the country’s energy-inefficient buildings by 2022. France’s renewable energy union (SER) also welcomed de Rugy’s appointment. He is a founder of the Ecologist Party, and a member of the president’s La République En Marche (LREM) parliamentary group. In a statement, the SER said: "François de Rugy’s long-standing commitment to the defence of the environment and his in-depth knowledge of the renewable energy sector are positive signals that should lead to a multi-annual energy programme (PPE) in line with the Energy Transition Law, adopted in 2015." De Rugy was a member of the French Green Party for more than 25 years, but left them in 2015 to form the Ecologist Party, over fears the Greens were becoming too left-wing. In 2017, he joined Macron’s LREM group in the French parliament and was elected as president of the National Assembly — the fourth most senior role in French politics. After his appointment, De Rugy tweeted: "Ecology has been at the heart of my political commitment for over 25 years. Meeting the challenge of ecological transition is a huge responsibility and an honour." Environmental pressure group Greenpeace added: "François de Rugy’s career shows some experience of environmental issues, but we doubt his ability to really weigh in [with] this government."